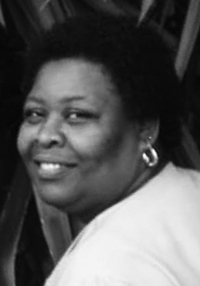 Augustus Funeral Home regrets to announce the passing of Mrs. Rochelle Vernette Christopher. A Home Going service for Mrs. Rochelle Vernette Christopher, daughter of the late Ismay Eugenia Ray nee Christopher and the late Austin A. John, loving mother to Tanaya and Tyler Christopher, sister of Austin , Angela ,Sonia, Agnes and Manuella John ,also the late Valerie Simons in her 61st year of #4 Bat-n-Ball Lane , Sandys will be held at New Testament Church of God, Heritage Worship Centre, Dundonald Street, Hamilton Today, August 14, 2018 at 11:00 am. Relatives and friends may pay their last respects at New Testament Church of God, Heritage Worship Centre, Dundonald Street, Hamilton Today, August 14, 2018 from 10:00 am – 10:55 am. Lovingly remembered by grandchildren: Anaya and Ayana; brother-in-law: Calvin Simons, special nephews and niece: Dwayne, Dean and Kristy Simons; uncle and aunts: Wilbert Warner [Hilda], Llewellyn Joell [godfather] Wentworth Christopher [Betty], Dr. Joseph Christopher [Marlene], Marion Matthew, Sherlyn Jones [Donald], Eunice and Kathy Christopher, Donna Peets; special cousins: Dr. Wilbert and Romelle Warner, Luanne Joell, Ervin Burgess; special friends: Dr. Sharon Apopa, Pearlette Basden, Susann Burcher, Dr. N. Cindy Trimm and family, godmother Mrs. Ann Smith, BHB colleagues, numerous nephews, nieces, godchildren and friends.